If you're looking for a residential and commercial paver installation and paver repair company in Fort Lauderdale, we would like you to consider Fort Lauderdale Pavers. We provide a full array of services from driveway pavers, brick pavers and pool deck installation and remodeling to full outdoor landscaping, palm trees, fencing ​and outdoor kitchens. ​​We'll do it all for you in one cost-effective gorgeous project! Give us a call for a free estimate or a "ballpark" cost right over the phone before we come out and look at your project and meet with you. We specialize in the installation, service and repair of driveways, pool decks, brick, entrance ways, walkways and outdoor kitchens for your home or business. 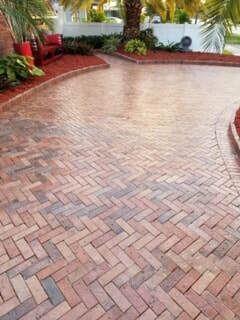 Based in Fort Lauderdale, we are a trusted residential and commercial paver contractor. We'll provide a vision for your new project or ideas for improvements to an existing area. We specialize in driveway paver ideas as well as spectacular outdoor kitchens areas. Whether it be a new driveway, paver installation, paver repair, brick patio, stone installation, a new pool deck or renovation to an existing area, we will complete the job on time and on budget. Perhaps you just want to do some paver restoration to an existing area and just want to make it look brand new. If you are concerned about paver installation costs, give us a call and let us present some options that best suit your needs. Whatever the task or scope of the project, we have you covered.​ Contact us today for a free assessment at your location. If you're searching for paver repair near me or you don't know how to install patio pavers, let us come out and take a look at your project. We work with residential, commercial and homeowner associations throughout South Florida. On behalf of the many hard working men and women associated with our company, we'd like to welcome you to our website. 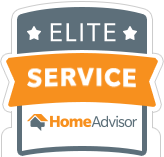 We are a company that was founded in 1979 on helping local property owners find the best paver company in Fort Lauderdale without the hassles of sifting through Home Advisor or Thumbtack for a provider that they don't know. We have lived and worked in the Fort Lauderdale area for decades and understand the difficulty of finding and hiring good, reliable, trustworthy paving contractors. But you've come to the right place. We provide every imaginable paver service for your commercial or residential property and will work with you and communicate with you so that before, during and after the project, you are 110% satisfied with the result and the work we have done. Sketchy and shady is the South Florida contractor's way of doing business. Take your money and disappear for 3 weeks only to then provide a crappy finished product. We, ourselves, have been on the losing end of that type of relationship and we are dedicated to your project and the vision you have for the final outcome. We invite you to enjoy an honest way of doing business where each party wins and our City is made a little more beautiful with your property being upgraded. If you'd like to discuss your project or are just interest in the possibilities, costs, or ways to make the dream become a reality, we ask you to contact us and let us discuss your needs. Give us a call if you're thinking about a brick paver, pool, patio, outdoor kitchen, entrance way, walkway or driveway paving project. We'll come out. Take our time and walk through the entire process from beginning to end. We want you to be happy with what we do together and we want you to come back again and tell your friends about us. We provide paver installation services in Fort Lauderdale, Dade and Broward County and for special projects; the Florida Keys. Give us a call anytime Mondays through Sundays.